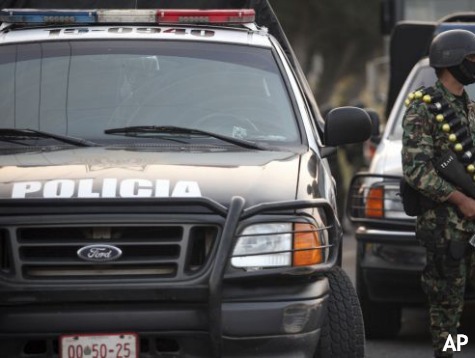 MCALLEN, Texas — Mexican authorities have confirmed the discovery of six mass graves in southern Mexico, near the same region where 43 students from a protest remain missing allegedly kidnapped by police officers. The find was confirmed Saturday evening by Guerrero State Attorney General Inaky Blanco who said the clandestine burial pit was just outside the town of Iguala, according to a news report from the AP. The prosecutor would not say how many bodies were in the graves or if the bodies were those of the missing students. The six mass graves add another layer of questions surrounding 43 students that have been missing since last week following two days of protests and a shooting by municipal police officers that left three students dead and 25 injured. A second shooting took place shortly after where gunmen opened fire on busses and taxies killing two local soccer players and a woman riding a taxicab. Since the shooting 22 local police officers from Iguala have been arrested on murder charges and authorities are looking for the town mayor who took leave and has gone into hiding.